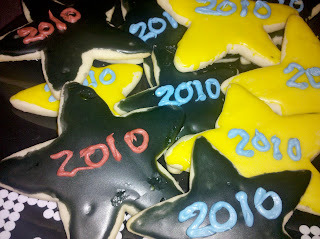 I made two batches of these sugar cookies this year, they were a huge it! I have an OLD recipe of my grammies I used for years but have been looking for a more "fluffy" cookie, this is it!! Take out 1/4 of the dough out of fridge at a time, lightly flour surface and roll out with rolling pin. 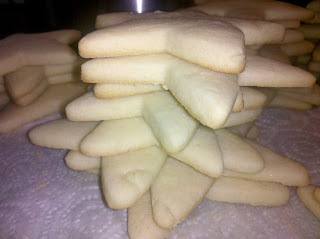 Place cookies on baking sheet 1 inch apart, bake for 6-8 minutes, watch closely so they dont burn. I found this dough to be pretty easy to work with, it can be a little sticky, but if you lightly flour in between rolling you will be fine. 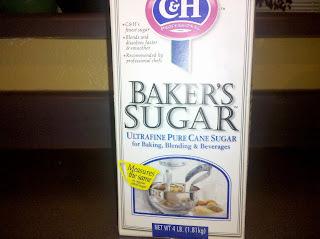 I use a simply frosting of powdered sugar and water..I don't have exact measurements, just make sure its not too thick or runny. Pear Cake..Its not pretty but it sure is good!